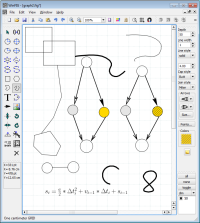 WinFIG is a vector graphics editor application. The file format and rendering are as close to Xfig as possible, but the program takes advantage of Windows features like clipboard, printer preview, multiple documents etc. It is based on my earlier Amiga program called AmiFIG. The intention is not just to copy or clone Xfig. I tried to improve the user interface, so experienced Xfig users probably realize that the look&feel is not identical and some things work differently. The handling was changed to support a 2-button mouse. …and btw I think that is much more usable. Just like XFig, WinFIG has become quite popular among academic users for it’s ability to use LaTeX syntax for texts as well as exporting to PSTricks, embedding PostScript or PDF into LaTeX or producing pure LaTeX output. So there is quite a range of options to fit WinFIG into a LaTeX environment, but of course it’s not limited to that. I did not yet include all the features I have in mind, but it can already be quite useful. So, enjoy and have fun. 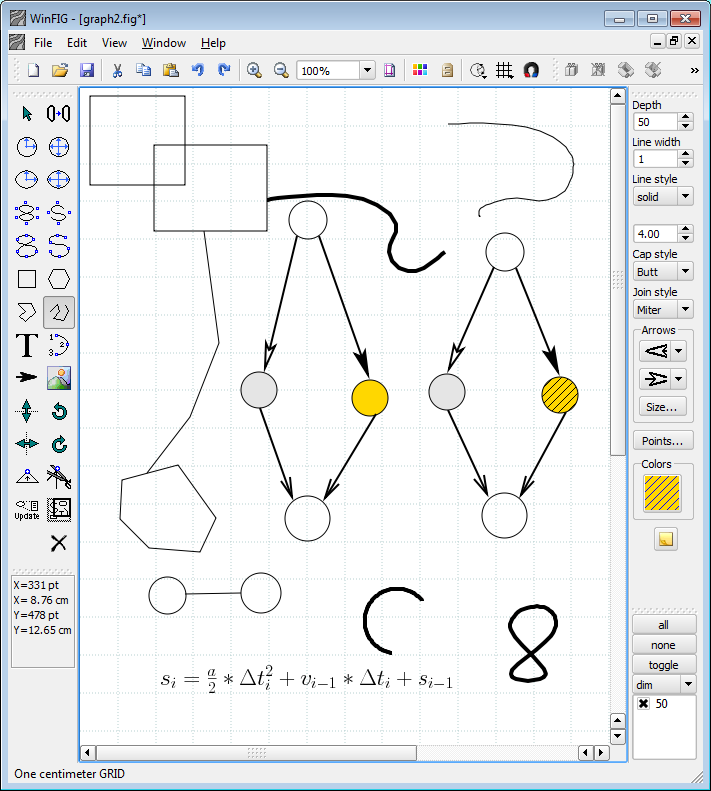 Smart links to support diagram techniques, i.e. for creating connections between nodes.